A person will become responsible for the administration of an Estate if they are nominated by the deceased person as the Executor in their Will. The administration of the Estate is an important legal obligation. 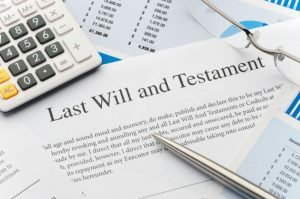 In the absence of an express provision for an Executor by the deceased in their Will, a Court will appoint an administrator, which usually is the closest surviving next of kin. distributing the residue of the Estate, after payment of all expenses, to those who are entitled as beneficiaries under the Will. One of the first duties of the Executor of an Estate is to arrange the funeral for the deceased. The personal representative has the authority to make all decisions regarding the funeral to the exclusion of the next of kin. However in most instances close family or friends assist with the funeral arrangements. What happens if there are Dependants of the Deceased? If the deceased had any dependants, minor children or pets, arrangements must be made for their care and welfare. If the deceased lived alone, the Executor must take reasonable steps to ensure the safe custody of the deceased’s home, motor vehicle, assets and possessions etc. Paying any debts of the deceased. The appointment as a personal representative of an Estate has significant obligations, personal risks and potential liabilities. Executors owe a duty of care to the beneficiaries of the Estate to exercise the same degree of care as would an ordinary prudent business person. The Executor could be personally liable for a breach of this duty. Given the significant legal obligations and responsibilities expected of a personal representative of an Estate it is imperative that you get the right advice as early as possible. Speak with our Wills and Estates team today to ensure that you obtain the right advice. Estate Administration is an important legal obligation and our team will assist and advise you on the administration of any Estate regardless of its size. Contact our team today to discuss your Estate Administration legal needs.